Once you have developed a thesis statement and found the requisite sources to answer your research question, you are ready to begin organizing your information. Some teachers will require a formal outline while others might ask for a graphic organizer. Either way, you need a logically organized writing plan, one that has focus and direction so you can start drafting your paper. The following online organizer tools will help you get started. Good Luck! If you are required to submit notecards and/or a formal outline, EasyBib's notebook feature is your best choice. If you need a quick, informal outline. try CRLS's outline machine. The printout is not pretty, but it's well organized. If you need to "see" your ideas and want to experiment with many organizational strategies, try Bubbl.us. 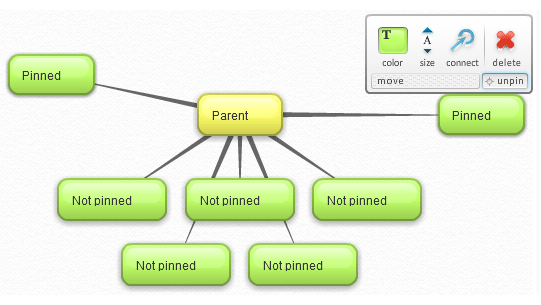 You can printout both your ideas in color-coded web or plain list.